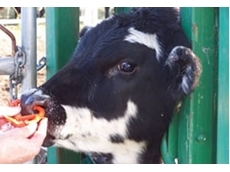 05/07/12 - Thousands of calves have been successfully weaned using the EasyWean method in Australia. 24/04/12 - Easy Wean offers a convenient solution for hobby farmers to wean calves away from cows. 12/03/12 - Noserings from Easy Wean help to successfully wean calves. 08/03/12 - Easy Wean offer advice on weaning with Easy Wean noserings.